There cannot be anything better, after a long, hot day in the car travelling the (often dust) back roads of South Africa, than an ice cold beer at the end of the day. We spent the best part (and I mean that both literally and figuratively) of six months doing such travelling and, therefore, saw many small town bars. The Pofadder Hotel bar has the coldest beer in South Africa. And it’s served in iced glasses. It’s also full of gorgeous Spanish engineers, who’re building the sun farms. Jägermeister has excellent marketing and is in every bar, everywhere. Branded, emblazoned, Jägermeister-induced shenanigans regaled. 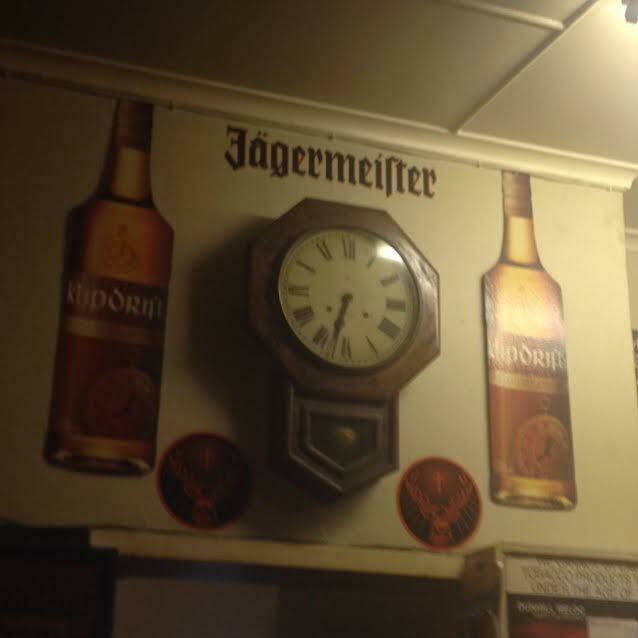 However, Klippies still takes pride of place, like the wise old grandpa of drinks. The bar man’s name is always Boetie. Always. Even if his real name is Alexander. Crocs – both the snappy animals and the crappy shoes – are alive and well in Small Town South Africa. Anybody under the age of 25 will call anybody over the age of 35, tannie. What happens in those ten years between is a mystery. All small town bars have collections on their walls: business cards, caps, number plates, flags, beer bottle caps… the list is endless. And often bizarre. There’s always one guy who should be avoided. He’s easy to spot but often not so easy to avoid. Make friends with the bar man (Boetie) as soon as you enter the bar. He will save you from said guy. People are nice. No, really, they are. The humans that occupy small towns (and their bars) have big hearts. I’ve always been a fan of small towns and dodgy bars. I think I may have to make it my mission to visit them all. The towns and the bars. I feel I still have many Boeties to meet. This entry was posted in Food & Drink, Travel & Exploring. Bookmark the permalink. Great post. And if you ever want to recreate the vibe you felt in these bars from the comfort of your sofa, be sure to check out an Aussie movie called Wake in Fright (or Outback, in some territories). You’ll be right back at the small town bar in a heartbeat!